There's no denying the fact that relationship marketing can yield multiple benefits for any brand. For one, since it focuses on building long-term relationships with customers, marketers could only expect to enjoy regular and continued patronage from their loyal customers. This but one of the advantages, of course, as it also gives you invaluable information about possible leads, besides the obviously free promotion that you'll get. This is why any serious marketer should make it a point to develop continuous relationship marketing as it has proven to be a good gauge of a business's longevity. If you're looking for ways to boost this aspect of your marketing endeavors, paid search, and social advertising is two proven effective strategies that you can use to improve it. When figuring out how you should go about fostering customer retention through search marketing, it's important for you to examine and always be in the know of searcher behavior. This takes the careful and consistent analysis of what your current customers want, the types of information that they need, and the keyword phrases that they use when searching. Doing so would allow you to always be able to fashion your content based on their present needs. Don't be afraid to introduce new products to existing customers as this is one sure-fire way of building brand awareness. Google Adwords makes his easy through remarketing. This way, you can offer new cross related products to customers who have recently purchased from you One other Google Adwords feature worth noting is dynamic remarketing. With it you, you can customize your ads further in a way that would not be intrusive but converts extremely well too due to the highly relevant products that are consistently relayed from your Merchant Center. Of course, the fact that the customer is well-aware of the fact that he has bought from your website before only adds to this. Your approach to implementing social advertising greatly determines how you can acquire and retain customers. Facebook's advertising platform alone is the perfect tool that a lot of businesses of various sizes can use to capitalize on relationship marketing. This is because the platform is responsive enough to offer multiple types of ads to its users. 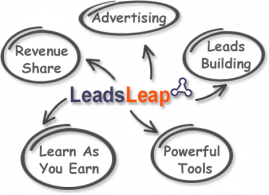 There is Lead Generation and Dynamic Product ads, for example, which is truly sophisticated ad types, to say the least. The former can be used to ease the acquisition of email lists, which is vital for customer acquisition. The latter, on the other hand, allows users to set up ads that are smart enough to show products that they've viewed previously on your website. Every ad that is shown, in short, is personalized, which only ever adds to its relevance. This factor, of course, largely determines conversion rate. Another truly amazing ad variant is the Existing Customer New Products Ads. Part of what makes it excellent is the fact that you can use it to announce the arrival of new product while targeting existing customers. While doing so, you can add rewards and discounts to show your appreciation. This only ever fosters a solid marketer-customer relationship. Other ads that you can consider are Abandoned Shopping Cart Ads and Customer Thank You Ads. The former allows you to entice new or present customers who chose to not go ahead with their purchase. The ads that would be displayed would feature perks such as discounts or free shipping costs, for instance. They specifically target those customers who abandoned their cart, encouraging them to complete the purchase. The latter, on the other hand, raises the chances of turning new customers into loyal ones by showing them ads that exhibit your gratitude for their business. Again, these types of ads underscore the importance of giving your present customers incentives and valuing their continued patronage instead of focusing on turning them into leads. These are but some of the solid, proven ways you can use social advertising to make the most of the relationship marketing.
? A well-developed and favorable relationship marketing atmosphere makes it easier for businesses to expand because loyal customers are often more inclined to purchase new products that you introduce to them.
? Customers who are consistently satisfied with your service or product would be more than willing to help you acquire new prospects. Of course, this only ever leads to reduced reliance on paid forms of advertising.
? Lastly, you can definitely expect an overall greater return on investment for your business. As much as 2/3 of companies enjoy better ROI by focusing on their longstanding clients.